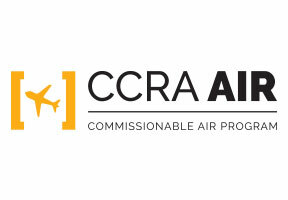 Norwegian Airlines is part of CCRA's Air Program. If you're booking Norwegian Airlines through the GDS today, consider joining CCRA's airline program to start taking advantage of preferred pricing opportunities. Norwegian is the sixth largest low-cost carrier in the world. Our customers can choose from around 500 routes to more than 150 destinations in Europe, North Africa, the Middle East, Asia, the Caribbean, South America and the U.S. We can offer low fares thanks to our lean organization and fuel-efficient aircraft. We have one of the youngest and greenest fleets in the world with an average age of 3.6 years. Our passengers appreciate our new aircraft, friendly service and low fares. That’s why we’ve been voted Europe’s Best Low-Cost Airline and the World’s Best Low-Cost, Long Haul Airline by millions of passengers in the Skytrax Awards for several years in a row. It’s all about choice. Fly Norwegian and everything starts with a simple, low-priced ticket. Then whatever else you want, add it on. Don’t pay for bags you haven’t got or on-board meals you don’t want. We give you the freedom to choose the lowest possible fare, without compromising on the standards. Our Premium fares on our international long haul flights with the 787 Dreamliner mean you get to fly Premium class without the premium price tag. Start by visiting our lounge, then take your comfortable Premium seat, stretch your legs and fill up on entertainment, complimentary drinks, your 3-course Premium dinner and breakfast.